Home / Anti-Aging Products & Superfoods / Phytoplankton PLUS Gold Grade Nannochloropsis Gaditana with added fish oils. 100 x 300mg capsules. 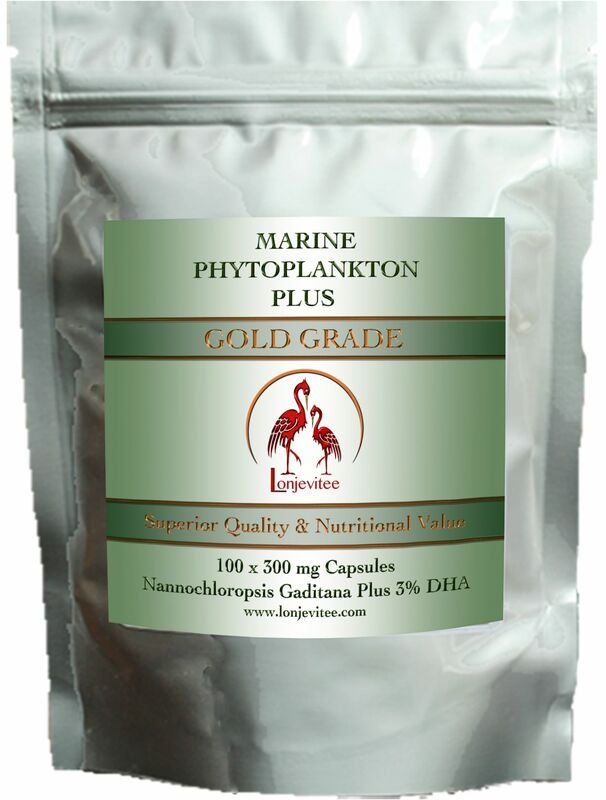 Phytoplankton PLUS Gold Grade Nannochloropsis Gaditana with added fish oils. 100 x 300mg capsules. 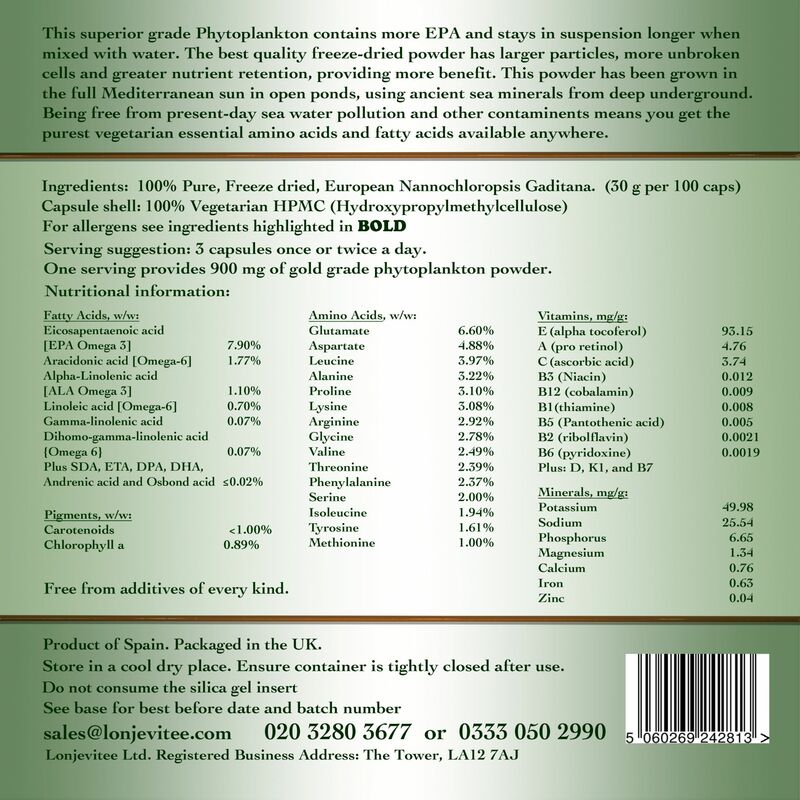 Phytoplankton PLUS Nannochloropsis Gaditana plus 3% added fish oil, with No Fillers or other additives. This Raw Green Superfood Supplement is packed with Natural Goodness. 100 x 300mg. Not suitable for Vegetarians or Vegans.